The search for this archive took an extensive period of time. I began compiling a corpus of all Native American treaties from the Indian Affairs: Laws and Treaties archive compiled by Charles J. Kappler. The search for this archive took an extensive period of time. 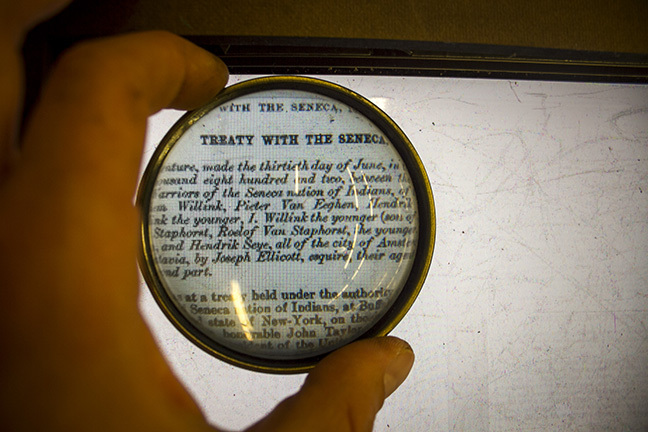 The translation of the time spent searching for the almost hidden and secret archive is this piece; the treaty images are only visible through the magnifying glass.